ICE Has Angered the Facebook! Department of Homeland Security (DHSEl Salvador, but is granting beneficiaries of the program an 18 month grace period before the termination goes into effect. 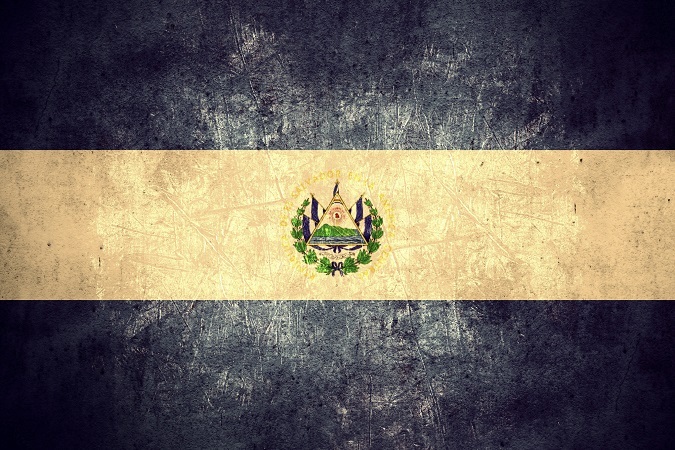 Salvadorans became eligible for TPS after two earthquakes struck the country in January and February of 2001. The country’s designation is set to end September 2019 – almost two decades after the disasters. Congress created TPS in 1990 to provide short-term humanitarian relief for those who could not return to their home country because of an ongoing war or armed conflict, natural disaster, or another extraordinary condition. The status is typically granted for 18-month terms (the maximum period of time permissible under federal law), but may be renewed if U.S. officials determine that conditions in the designated country have not sufficiently improved. In certain circumstances, the U.S. government will extend TPS for a country that is unable to adequately handle the return of its nationals. TPS may be granted to illegal aliens living in the United States and protects beneficiaries of the program from deportation during the time of their country’s designation. The program also allows its beneficiaries to obtain work authorization and travel authorization during the period of the TPS designation. The program was never intended to provide a means for long-term residency in the United States. TPS also does not lead to any lawful permanent resident status or other immigration status. Additionally, federal law requires the government to terminate a country’s TPS designation once the foreign country no longer continues to meet the conditions that inspired the designation. Secretary Nielsen determined that conditions in El Salvador has sufficiently improved and has the capacity to handle the return of its citizens. “Many reconstruction projects have now been completed. Schools and hospitals damaged by the earthquakes have been reconstructed and repaired, homes have been rebuilt, and money has been provided for water and sanitation and to repair earthquake damaged roads and other infrastructure. The substantial disruption of living conditions caused by the earthquake no longer exist.” Secretary Nielsen stated. The secretary also referenced the 39,000 individuals who have been repatriated by the U.S. government to El Salvador since 2015 to underscore this reality. FAIR Present Dan Stein applauded the announcement. “If those who benefit from TPS status never return home due to a pattern of unjustified extensions, then future administrations will be unwilling and unable to justify extending this temporary public policy safety net to those who find themselves in a similar situation in the future,” Stein said. “Secretary Nielsen and the administration should be applauded for recognizing the temporary nature of this policy tool and for their willingness to stand up for the original intent of the law as passed by Congress,” he added. Content written by former Federation for American Immigration Reform staff. We are under chemical attack from the Isis pharma industry. Ask a mute, ISIS drugged child. If I am understanding this correctly, congress initially passed this bill in 1990 for humanitarian aid for El Salvadoreans who were struck by earthquakes in 1990. The program is usually for 18 months, then the program ends if conditions have gotten better & they can return back to their home country. Well it has been two decades & they are still here. Homeland Security, apparently, thinks they could return home now, – – – – – but that probably is not going to happen. Why? Because the democrats think we should have open borders & allow anyone any place on earth to come here if they so desire. I am not opposed to ppl. coming here, but shouldn’t we be very selective who we let into this country. I’m not knocking El Salvadoreans, I have nothing against these ppl. The only requirement the dems. would require is that they vote for the democratic candidates. I would like to see us build the wall & really be serious about monitoring who goes & comes through our country. I know that when the dems. gets the House & Senate back, they will ignore a lot of what Mr T is putting in place. I hope we the ppl. don’t let that happen anytime soon. no god damned amnesty for any illegals… they must all be deported.. enough of mooching off our tax $$$…. How can Homeland security expect these Salvadorans to return after they’ve been here for two decades. These people have assimilated into our society and have been productive in many areas in the workforce. They should be given access to permanancy. Check out our Trump Tracker! Immigration controls and limits are now under vigorous attack every day, and FAIR urgently needs your support to defend our borders, national self-determination and the American quality of life ensured by responsible immigration limits. Any contribution is greatly appreciated and will make a significant impact. Your source for the latest immigration news written by experts from the Federation for American Immigration Reform in Washington, DC.